I have helped many people from throughout the Statesville, NC area with cases involving parking violations in order to mitigate the charges made against them. Receiving a parking ticket is an annoyance that has the ability to affect your right to drive legally. If you recently received a parking ticket or you have a number of parking violations on your record, you need an attorney who can fight diligently for you throughout the duration of your case. This is where I, W. Sloan Goforth, Attorney at Law, come in. I have helped many people from throughout the Statesville, North Carolina area with cases involving parking violations in order to mitigate the charges made against them. I will do no less for you and ultimately ensure that your best interests are protected as you navigate the legal process. In cases involving parking violations, I realize that it can be hard to decide whether you should just pay the fine or reach out to an attorney. Generally, if the parking violation will add points to your driving record and compromise your right to drive, it is always better to turn to a legal professional for assistance. My role in the legal process is never to overwhelm. Rather, it is to ease the burden that often comes from dealing with a legal situation and ensure that you feel calm and confident as your case progresses. Instead of letting a parking violation harm you legally and financially, contact me today to find out how I can help. I have extensive experience working on cases involving parking violations and look forward to working with and hearing from you. 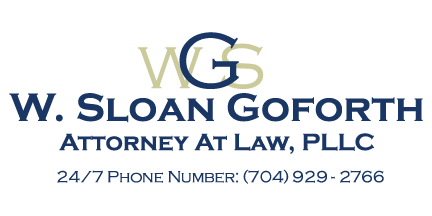 At the office of W. Sloan Goforth, Attorney at Law, we can help with legal cases regarding parking violations for residents of Statesville, Troutman, Taylorsville, Mocksville, Mooresville, Hickory, Iredell County, Alexander County, and Davie County, North Carolina.